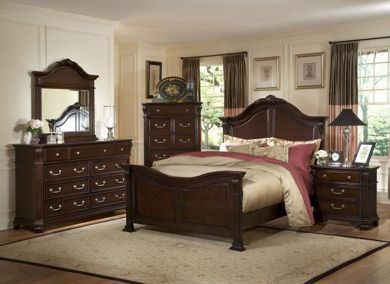 Old world charm meets modern composition in the Emilie collection. 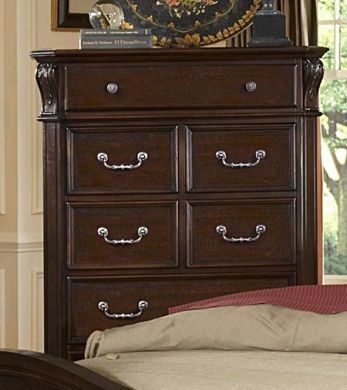 Pieces feature hand carved acanthus leaf inlays on pilaster and headboard. 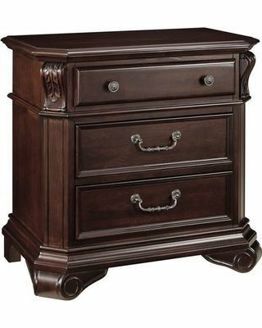 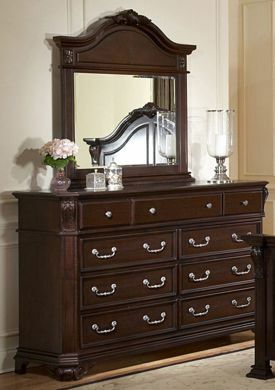 Traditional accents abound with raised panels, bonnet top headboard with mirrored footboard treatment, full return mouldings on the tops and bases of the matching furniture, and beautiful scrolled feet.